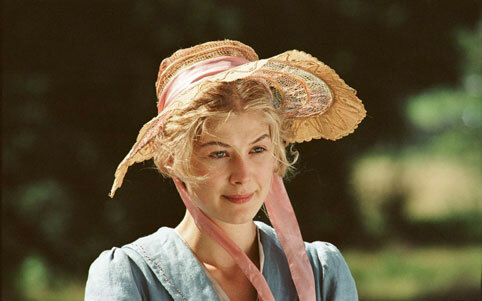 Jane (Rosamund Pike) wearing long pink taffetta Papilionaceous ribbon alongside Keira Knightly in Pride & Prejudice. “Rosamund Pike is obsessed with ribbons. She carries two or three ribbons with her wherever she goes”. (Joe Wright, Director Pride & Prejudice 2005) Nothing wrong with that Mr Wright!